2 complete rounds. HPC were heavy. Then immediately into 6 min 1RM HPC. My bestie and hubby being awesome in the same pic! LOVE! Max HPC: 130# – 5# PR!! Yeah, Angie! Great job lady!! Thanks Melissa and Calli for cheering me on! And thanks Allie for the sweet comment! Such a fun noon class! Thanks Jess! And AWESOME job today Cindi!! 1 Min Max DU’s=80 something? Woops my du were 135 on the first round. Ha. Breck: dang!, well done on the double unders! I believe that’s the gym record now! 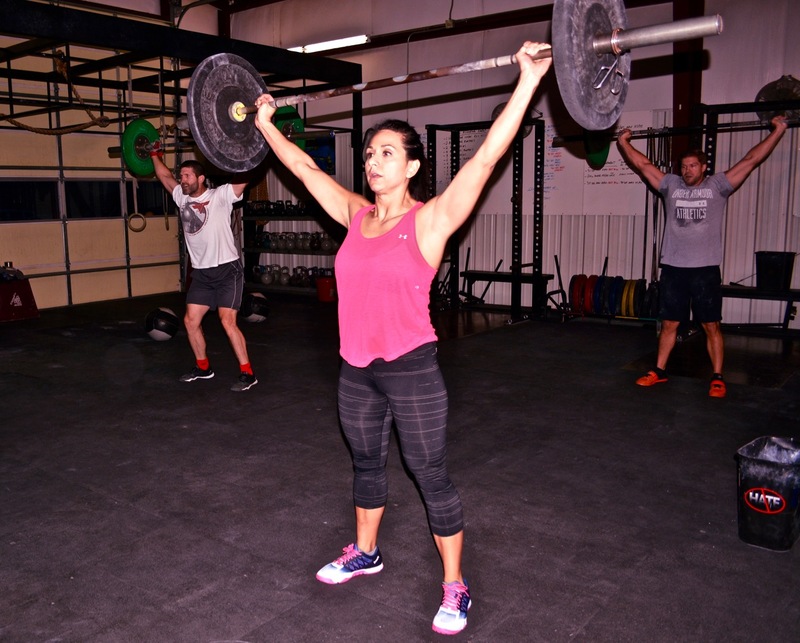 CrossFit 405 noon with the Team Sydney crew! 2 rds+5 cal…so slow at rowing! Up to 145#…failed 155# twice within time limit and 3x after ha! so close! That’s all I had today. I’d much rather go from the floor! Happy to lift with you, Jennifer!! !